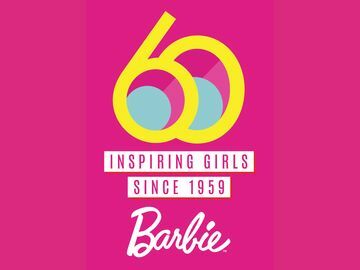 Barbie and Fifth Harmony Kick-Off a Multi-Tiered Partnership in 2014 | Mattel Inc.
LOS ANGELES--(BUSINESS WIRE)--Inspired by the Barbie brand tagline, “With Barbie, Anything is Possible™,” the world’s most popular doll is debuting a new brand anthem to kick off 2014. Serving as a positive, empowering beacon for girls around the world, the high-energy, catchy pop song will be voiced by all-girl group and music sensation Fifth Harmony. The partnership with Epic Records / SYCO recording artists Fifth Harmony includes today’s global debut of the lyric music video on Barbie.com, followed by the launch of a music video and a Fifth Harmony Barbie doll collaboration. Fifth Harmony has taken the world by storm since they were brought together by Simon Cowell on the second season of The X Factor in 2012. 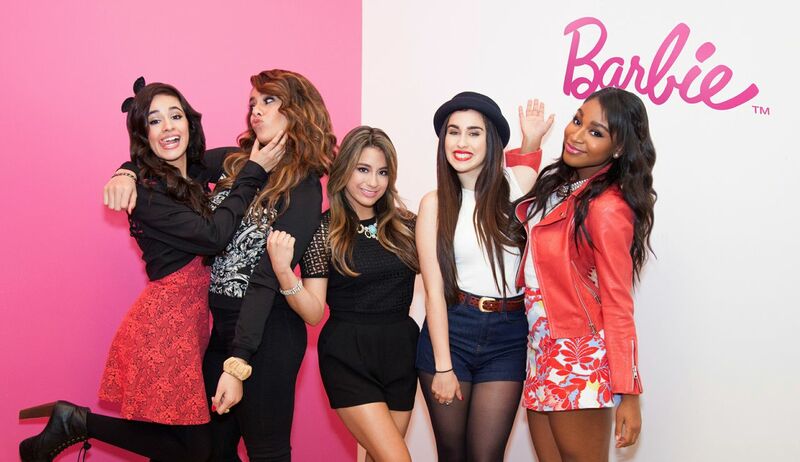 In 2013, Ally Brooke, Normani Kordei, Lauren Jauregui, Camila Cabello, and Dinah Jane Hansen released their Billboard Top 10 debut EP Better Together (Epic Records) that reached Top 10 in 41 countries, headlined a sold-out tour and ruled the airwaves with their smash single “Miss Movin’ On,” all while gaining over a million loyal fans on Twitter and Facebook dubbed “Harmonizers.” The girls are poised to break-out even bigger in 2014 with an arena tour supporting Demi Lovato and the release of their much anticipated full-length album. “The Barbie Anthem means believing in yourself and your dreams,” says Ally. Adds Camila: “Anybody can do anything they set their mind to...this song sends an incredible message and the future depends on this kind of message being spread.” “Little girls can relate to the song...any girl can relate to it,” says Dinah Jane. To celebrate a year of girl empowerment together, Barbie will debut a full-length music video later this year featuring Fifth Harmony that brings the anthem’s spirited lyrics to life. Mattel will also introduce fans around the world to a Barbie Doll collection including five dolls created in the likeness of each Fifth Harmony member. The doll collection is set to launch at select US retailers this holiday season and at retailers worldwide in early spring 2015. To download the lyric video and additional assets including a behind-the-scenes video and photography of the Fifth Harmony partnership, please visit www.BarbieMedia.com. Mattel, Inc. (Nasdaq:MAT) is the worldwide leader in the design, manufacture and marketing of toys and family products. The Mattel family is comprised of such best-selling brands as Barbie®, the most popular fashion doll ever produced, Hot Wheels®, Monster High®, American Girl®, Thomas & Friends® and Fisher-Price® brands, including Little People® and Power Wheels®, as well as a wide array of entertainment-inspired toy lines. 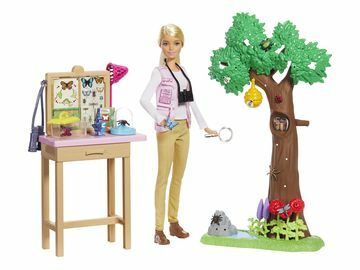 In 2013, Mattel was named one of the "World's Most Ethical Companies" by Ethisphere Magazine and also is ranked No. 2 on Corporate Responsibility Magazine's "100 Best Corporate Citizens" list. With worldwide headquarters in El Segundo, Calif., Mattel employs nearly 30,000 people in 40 countries and territories and sells products in more than 150 nations. At Mattel, we are Creating the Future of Play. Visit us at www.mattel.com, www.facebook.com/mattel or www.twitter.com/mattel.